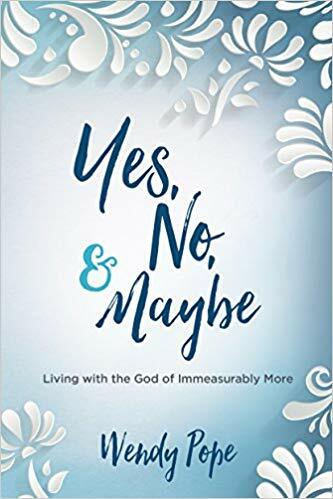 Enjoy this excerpt from Wendy Pope’s new book, Yes, No, & Maybe — and enter below to win a copy! Okay. You may be dismayed by the title of chapter 1, particularly this one word: obedience. Maybe you even rolled your eyes and released a deep sigh when you read that word. In the introduction, you got all hyped up about the immeasurably more life, only to turn the page and read a word that sticks in your teeth like a kernel of popcorn. Please don’t put this book down. And please don’t take it back to the store and ask for a refund. Obedience and obey are not among popular Bible words like grace. Oh, we welcome God’s grace. Then there’s mercy. Don’t we love God’s mercy? We can’t forget cleansed, forgiven, washed away, and dearly loved. We flock to these Bible words. But obey? Not so much. However, when we survey feel-good, inspirational words, we might consider that each word is experienced in its fullest when our heart is in alignment with God’s—when we are obedient to Him. How would we respond to God’s instructions if we knew the impact our obedience to God would have on the immeasurably more life we long to live? 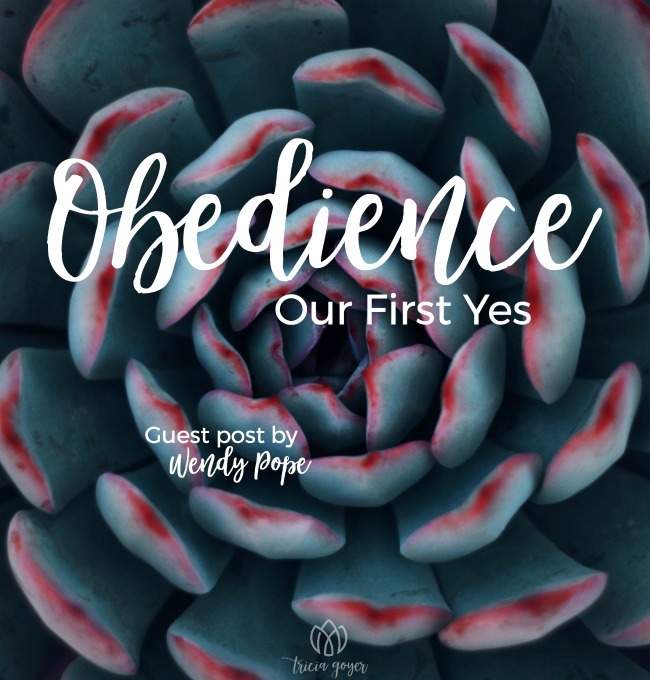 Saying yes to obedience cultivates trust—our trust in God as well as God’s trust in us. I’ll go ahead and admit that I’m a rule follower. I haven’t always loved or embraced regulations. But I’ve matured and come to understand that most rules are for the greater good. Speed limits and stop signs are put in place to keep drivers, bicyclists, and pedestrians safe. Imagine the chaos that would ensue with unrestricted speeds and no stop signs! As a former non-lover of rules, I now find security in knowing and following the expectations before me. A flood of joy fills me when I adhere to instructions, even those I don’t like or understand. Read more of the first chapter here! • Yes cultivates trust with God. • No invites revelation into who God designed her to be. • Maybe welcomes the freedom to confidently love, give, and serve in God’s kingdom. 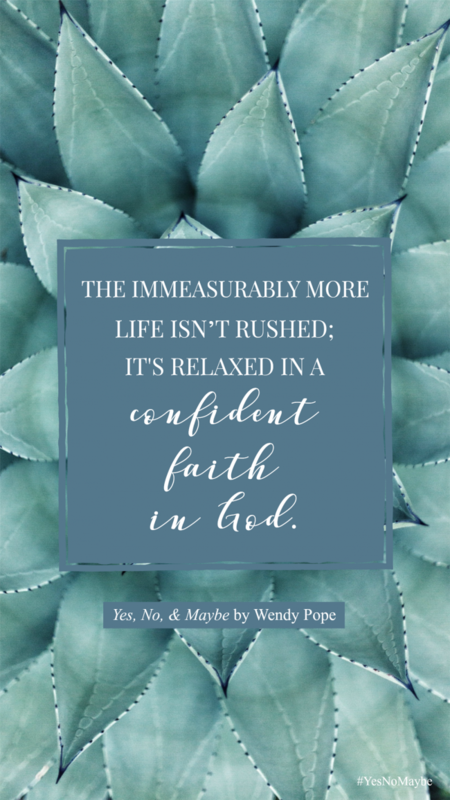 Wendy Pope is a speaker with Proverbs 31 Ministries and contributes to the P31 online devotional, Encouragement for Today, which reaches over 1 million readers each day. 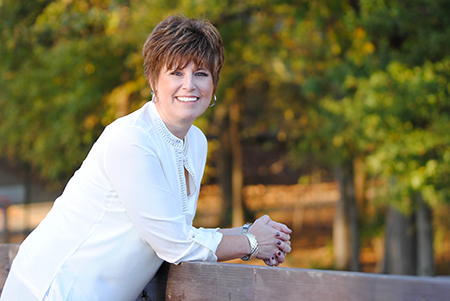 She is the author of Trusting God for a Better Tomorrow and Wait and See and teaches thousands of women worldwide online through The One Year Chronological Bible. Pope lives with her family in North Carolina.